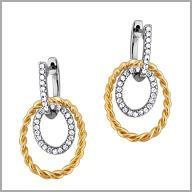 14k tt gold and diamonds dangle earrings. Dangle, dazzle, and dance the night away! 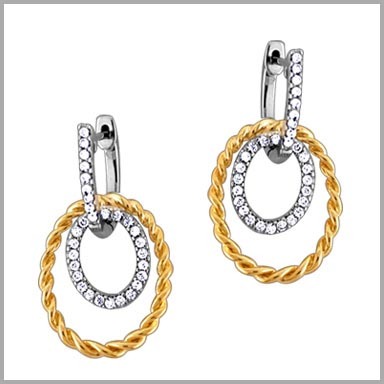 Crafted in polished 14K TT gold, these earrings each feature 32 round cut diamonds bead settings. The total diamond weight is 0.333ct ( approximate). The diamond color is G-H and the clarity is SI. They measure 1"L x 1/2"W and have hinged snap post backs.